The music of the chameleonic, ambiguous, faded jaded star who fell to earth and sold the world is the key to this film, which challenges the very concept of a documentary. Is this postmodernism in extremis or a clarion call to revolution? That question is the very point. Curtis presents a very clear and persuasive narrative of world events over, no, within a surreal AND undeniably real meditation that is at once document and dream. It is as true and fabricated and horrific as Apocalypse Now while being somehow less stagey. The footage is real. Most of it. (Although Bowie could be as stagey as any marionette or as sparsely bleak as the shellshocked junkie). 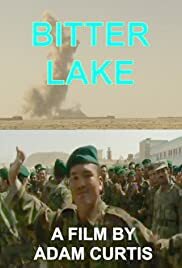 Bitter Lake is a documentary about Afghanistan. And the modern world. The media. 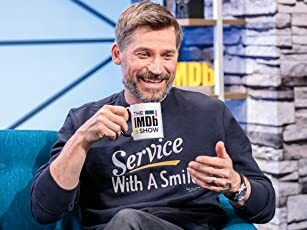 Itself. Chameleon, corinthian, and caricature. It is an attempt to be as contemplative as Tarkovsky, as bitterly ironic, and yet it is clear that Curtis is trying to tell not (only) an artistic truth but a historical truth. The good men of tomorrow, according to the Western forces, turned out not to be what they seemed, buying their positions with heroin and trust. The complexities of Afghanistan's politics and the relation of Afghanistan to world politics, these are not just tackled by Bitter Lake, they are evoked. Is the lake beyond comprehension or can we come to terms with it and ourselves? Bitter Lake is never as glib as that question. You could say it was postmodern and experimental, but it seems too well constructed, or perhaps dreamed, to dissolve into a sea of perspectives. Perhaps it is something new. A myriad that reassembles itself into a guided missile. It certainly feels vital, important, but from these shores the eventual impact is... far off. I might just slip away.